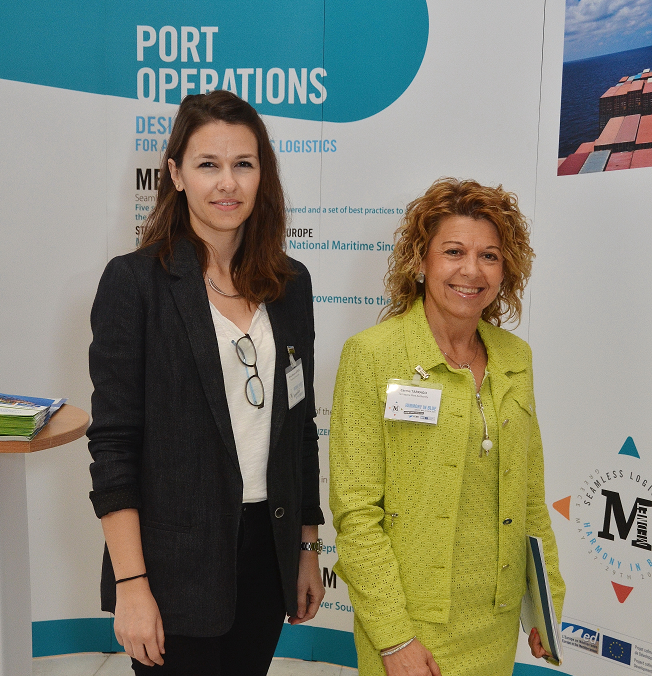 Tarragona Port Authority and other partners of the MED-PCS Project attended the European Maritime Day, which this year was held in the Port of Piraeus, on the 28th and 29th of May 2015. MED-PCS partners had the opportunity to make contact with partners of other maritime projects, to address the outcomes of the MED-PCS Project and to initiate contacts for future project proposals. The MED-PCS Project was presented during the HARMONY IN BLUE Mednet capitalization event, the 27-29th May 2015 in Athens. The initiative focused on 4 main thematics, capitalizing the results and contributions from 16 projects to a Seamless Logistic chain in the Mediterranean. In this event, which also happened to be organized in close cooperation with the European Maritime days, the MED-PCS project was presented in front of over 80 stakeholders and many more institutional representatives coming from different countries both inside and outside the borders of the European Union. Moreover, many opportunities of discussion with projects of similar scope were available. The training material for the MED-PCS project has been uploaded on the e-learning platform and is now available for consultation and download. 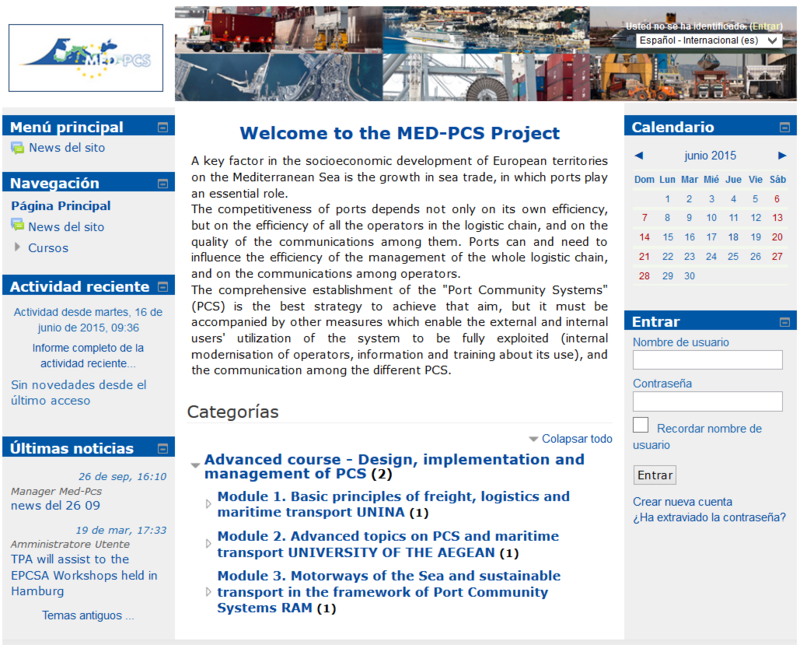 Within the context of the EU Programme MED and project MED-PCS (www.med-pcs.eu/), the University of Napoli “Federico II” (Italy), the University of the Aegean (Greece) and Rete Autostrade Mediterranee (RAM) offer a 120-hours advanced course on Design, implementation and management of Port Community Systems (PCS), targeted both to experts/professionals in the field and also to non-experts, including undergraduate university students. Module 1. Basic principles of freight, logistics and maritime transport (50 hours). Module 2. Advanced topics on PCS and maritime transport (50 hours). Module 3. Motorways of the Sea and sustainable transport in the framework of Port Community Systems (20 Hours).